Work is ongoing at the 7th hole and will continue in three phases over the next four winters, with the new hole opening for play during the 2021 season. The changes are part of Royal Dornoch’s long-term strategy to continually seek to improve the world-renowned course, which earlier this month was ranked 2nd best in the world in the latest Golf Digest list. The club’s own greenkeeping team is carrying out the work and follows recommendations by leading course architects Mackenzie and Ebert who were engaged to review The Championship Course and its adjacent Struie Course. 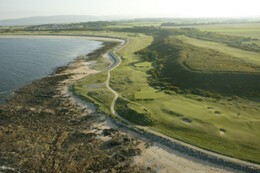 Last year the club completed changes to the 5th, 10th, 11th and 12th holes as part of the strategy. The greenkeeping team will create a new green at the 479-yard Par 4 7th hole, about 40 yards to the right of the existing one, with the current tees staying where they are, so essentially the hole will pivot to the right from the tee. There will also be new tees for the 8th hole, located where the current 7th green is. This will make the tee shot at the 8th more like the original intention, in that golfers will play their second shot from the top of the hill. Neil Hampton, Royal Dornoch’s general manager, said: “The work at the 7th hole will be the last major change of the recommendations made by Mackenzie and Ebert and it will be the biggest of them all. 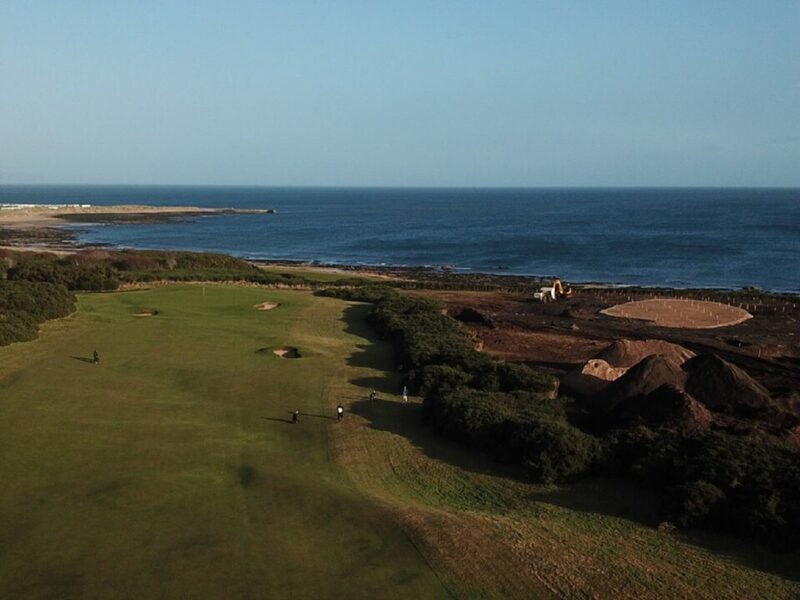 “With such a big expanse of gorse bushes to the right of the current hole, we have been able to leave a ribbon of bushes next to the current fairway which acts as a barrier to the works so play continues without the golfers knowing what is happening. The final phase will see these bushes taken away and the new hole revealed. “The overall effect will be to give stunning views of the golf course along the complete length of the hole, whereas these views are only available from the 7th tee at the moment. “The stroke index will remain the same, as will the green complex. We all realise that the shaping of the current green in a major part of how the hole plays, so this will be replicated in the new green. The recent Golf Digest rankings placed the Championship Course higher in its Top 100 world rankings than other top Scottish courses including Muirfield and the Old Course at St Andrews – both venues for The Open championship – and Trump Turnberry. Royal Dornoch’s commitment to its community and natural environment also recently earned the club a coveted global sustainability accolade.